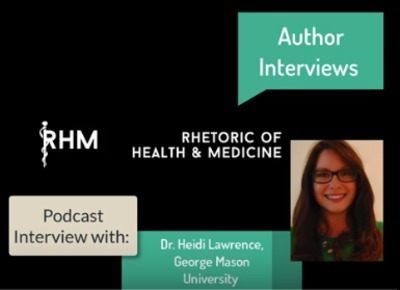 Lawrence, Heidi and Molloy, Cathryn (2018) "Assistant Editors' Interview with Dr. Heidi Lawrence of George Mason University," Rhetoric of Health & Medicine: Vol. 1 : Iss. 1 , Article 1.